The trend to ever-higher transmission rates is growing due to rapidly increasing use of intelligent mobile devices. That puts more and more pressure on backbone networks and data centres to handle a literal flood of data. The required latency of future applications such as in traffic infrastructure and its inherent traffic leads to a situation where data rates of ten gigabits per second offered by the 10GBASE-T variant of Ethernet are in many cases simply no longer sufficient. The IEEE (Institute of Electrical and Electronics Engineers) in response to these needs has developed new variants of Ethernet such as 25GBASE-T with 25 Gbit/s and 40GBASE-T with 40 Gbit/s using copper twisted-pair-cabling. Due to the more stringent requirements on insertion loss budget, the link length becomes limited to a maximum of only 30 metres. Therefore, both new Ethernet variants are primarily designed for data centres, server rooms, and connections between switches. The correlating standards for cabling infrastructure and its components have been developed and published in unison with the transmission channels of IEEE. The new formed Category 8.1 as a successor of Category 6A sets high requirements on the performance characteristics of the passive cabling components. The connector specifi cation acc. IEC 60603-7-81 now includes specifi cations up to 2000 MHz for amongst others insertion and return loss, near end and far end crosstalk attenuation (NEXT, FEXT) with still a backwards compatibility to existing categories respectively products of former categories such as Cat.6A, Cat.6 or Cat.5. Components according to Category 8.1 form a Permanent Link of max. 24 m, together with two patch cords of max. 3 m, a Channel Class I (30 m) is set up. The direct connection of devices (Direct Attach, or end-to-end link) is also supported. 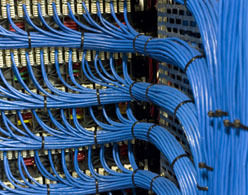 In this case, the devices, for example a switch and a server, are connected directly by the cable with field assembly plugs at both ends. The all new field-assembly keystone jack AMJ Module Cat.8.1 T568A/B acc. to IEC series 60603-7 (RJ45 8P8C) features a robust zinc diecast housing with 360° shielding for secure data transmission regardless of outside electrical interference. Its slim and at the same time extremely short housing with keystone mounting dimensions allows easy installation in all kinds of applications. Solid conductor cables can be easily terminated in the field with is IDCs suitable for AWG23/1 – 22/1 with no special tools. The AMJ Module Cat.8.1 comes with a multi-level strain relief and shield connection for easy adaptation to various cable outer diameter. Equipotential bonding is child´s play with the use of pre-assembled bonding cables using flat connection 2.8 mm. An integreated protective cap is part of scope of delivery, too. In addition to the AMJ Module Cat.8.1, Telegärtner is also launching the field-assembly cable plug MFP8 Cat.8.1 for building direct-attach links in-between electronic devices or for the assembly of patch cords. 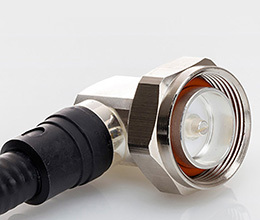 The fully-shielded housing made of zinc diecast offers a cable strain relief suitable for cable outer diameter from 5.5 – 10.0 mm and can be assembled onto horizontal or patch cable of Category Cat.8.1/Cat.8.2 with solid or stranded conductors such as AWG27/7 – 22/7 or AWG26/1 – 22/1 with no need for any special tools. As of now, with the help of both cabling products network installations according to ISO/IEC 11801-1 Class I can be carried out in order to support upcoming applications such as 25GBase-T respectively 40GBase-T.